In a few days thousands of United Methodists will gather in Roanoke for Annual Conference. Once a year clergy and lay representatives throughout the state meet for a couple days of holy conferencing in order to prayerfully discern the future of the denomination. 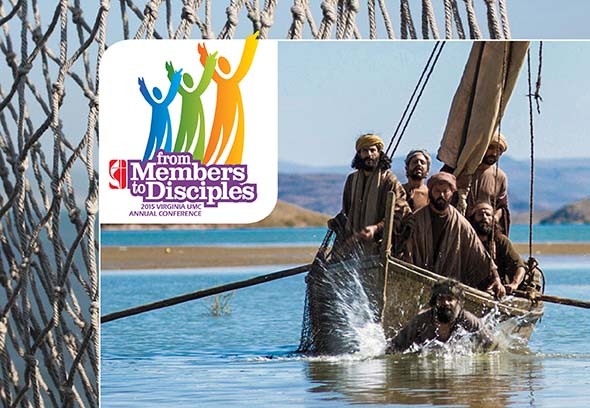 Annual Conference provides opportunities for clergy peers to reconnect, lay people to learn about our organizational structure, and helps to reignite the flame of faith in our churches. The first time I went to Annual Conference was years ago and I was completely overwhelmed. I was a lay delegate for my home church and was supposed to vote on matters of church polity that made very little sense (I didn’t even know what ‘polity’ meant at the time). When I think back on that first conference it felt like a blur and I hope that I voted according to the Lord’s will. However, the one thing I do remember with accuracy was the Statistician’s Report. Every year the Statistician from the Conference announces our net gain or loss of members over the last 12 months. During my first Annual Conference the Statistician announced that we had grown by ~200 members to which the entire arena erupted with applause. I remember thinking, “200? That’s all? And why is everyone celebrating such a low number for the entire state of Virginia?” I only learned later that it was the first time we had a positive growth in a very long time. Sometimes when I am sitting at Annual Conference I feel as if the great windstorm is rolling and the waves are beating us down. I listen to report after report pleading for more money, more resources, and more volunteers. I witness people approach the microphones to make comments about other human beings that should have been left in the 1950’s. I meet people from churches that will be closing their doors in the next few years and see the tears welling up in their eyes. I feel like one of the disciples on a boat that is already being swamped. But then I remember that after the disciples woke Jesus up, he quickly calmed the storm, and then questioned their faith. When we am confronted with the waves of conference we need to remember that Jesus is the one who controls the wind and the sea. When we witness events that make us feel like the ship is sinking, we need to remember that Jesus is the one who walks on water. So long as we keep believing that we control the church, Jesus will keep sleeping in the stern while we run around in fear. We need a change of heart and perspective to remember that Jesus is Lord, not us. This week, let us pray for the renewal of the church. As delegates gather in Roanoke, let us pray for wisdom and discernment of God’s will rather than our will. And let us all remember that even when the ship of life is being attacked by waves, Jesus is the one who calms the storm, and puts our faith into perspective. This entry was posted in New Testament and tagged Annual Conference, church, Devotional, Discernment, Disciples, Future, Hope, Mark, New Testament, Prayer, Together, UMC, VAUMC, Virginia. Bookmark the permalink.